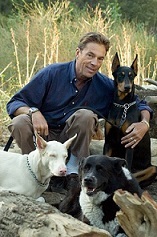 The Trip Harting Fund was created with donations to TDF from Trip's friends and supporters after he passed away in 2008. This fund will provide grants up to $500 for current or graduate riders with a Pony Club Rating of B or A to assist in attending the USDF 'L' Education Program or USDF Instructor/Trainer Program. The online application must be completed by March 25th of each year. The reference letters must be emailed directly to TDF from the sources on or before the March 25th deadline. Selection will be determined and announced no later than June 1st. Raised in Potomac, MD, where his father founded the Potomac Horse Center, Trip Harting began riding when he was 6-years-old. By the age of 15, he became the youngest member of the U.S. Pentathlon Team. Trip showed jumpers at the Grand Prix level and competed internationally in three-day events, but he found his true passion in the dressage ring. Outside of competition, Trip was revered as a brilliant trainer and clinician. He taught hunt seat equitation, dressage and eventing for more than 30 years. Trip’s real love, however, was working with youth riders. 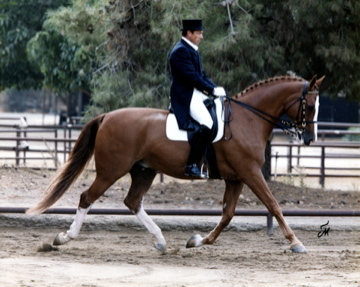 His extensive involvement with the Junior/Young Rider dressage program included serving as the chairman for the California Dressage Society and the USDF, directing and managing the CDS Junior Championships and serving as USDF Region 7 Director. In 2001, Trip accepted the position of coach and chef d’equipe of the USPC Team at the North American Junior Dressage Championship. The USPC honored him as a living legend in 2004. Trip was a longtime member of the USPC Dressage Committee, and judged the dressage division at the USPC Championships on many occasions. He promoted the introduction of musical freestyles and quadrilles into the team competition at Pony Club rallies, and was known for his cheerful encouragement to every rider, “Have a great ride!” Trip taught young riders many times at the USPC Festival, and was a frequent guest speaker on “The View From C” at USPC Annual Meetings. Trip also helped create the USPC upper level specialty ratings in Dressage, introduced in 2007. During his last four years, Trip performed countless hours of volunteer work for recovering drug and alcohol addicts and shared his own personal battle with drugs in the documentary film entitled, Trip To Hell And Back, released in early August. The biography won grand prize for best short documentary at the Rhode Island International Film Festival.